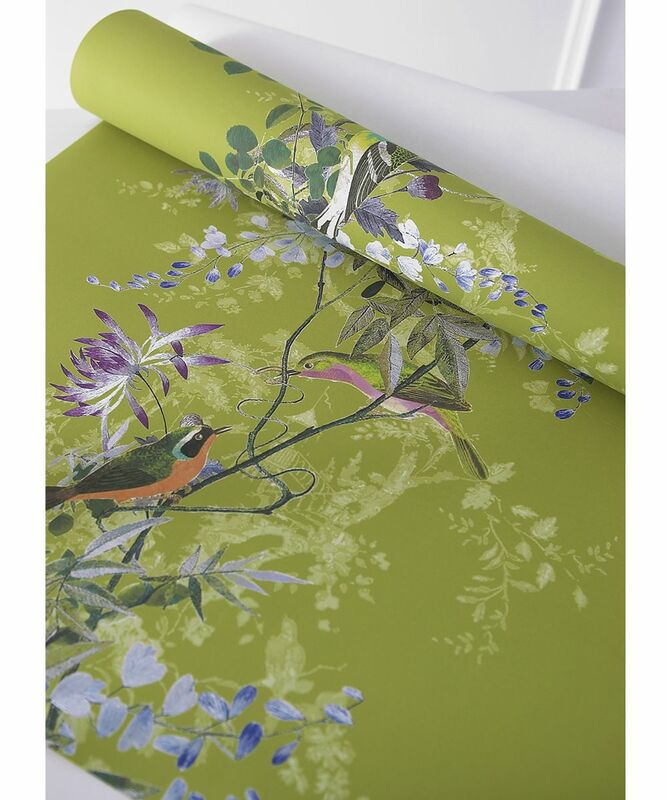 Our new Jardin des Oiseaux (Bird Garden for those who didn't pay attention in French class) Chinoiserie wallpaper in Chartreuse is adorned with multi-coloured birds perched in wisteria and rose leaf branches interspersed with flowing flowers. 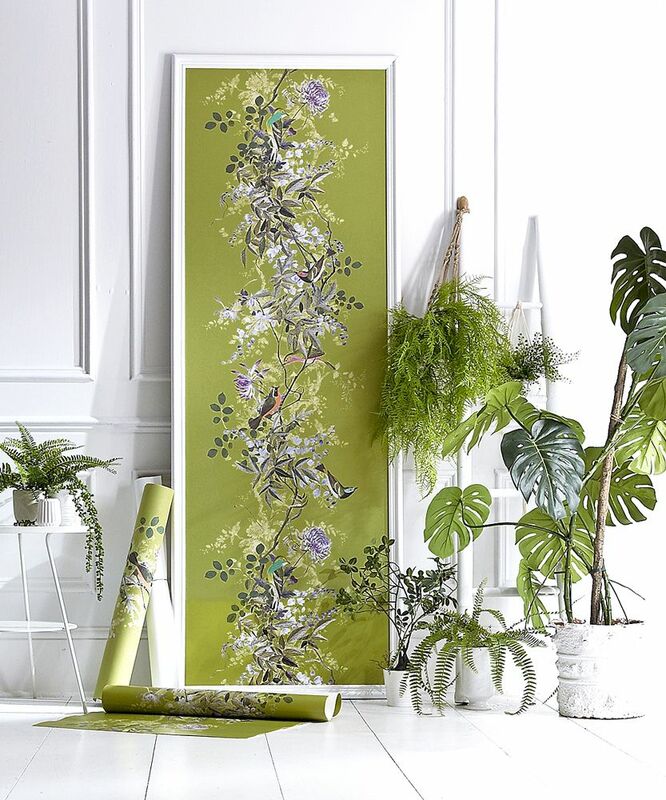 Its elements are a mixture of collaged images of beautiful flowers and foliage from an antique Chinese embroidered silk panel, painted leaves and hand drawn birds printed over a re-edited Chinoiserie wallpaper design from the 18th century. We also sell some of our wallpapers in two metre lengths to use as a single panel, see Pinterest for clever wallpaper ideas! 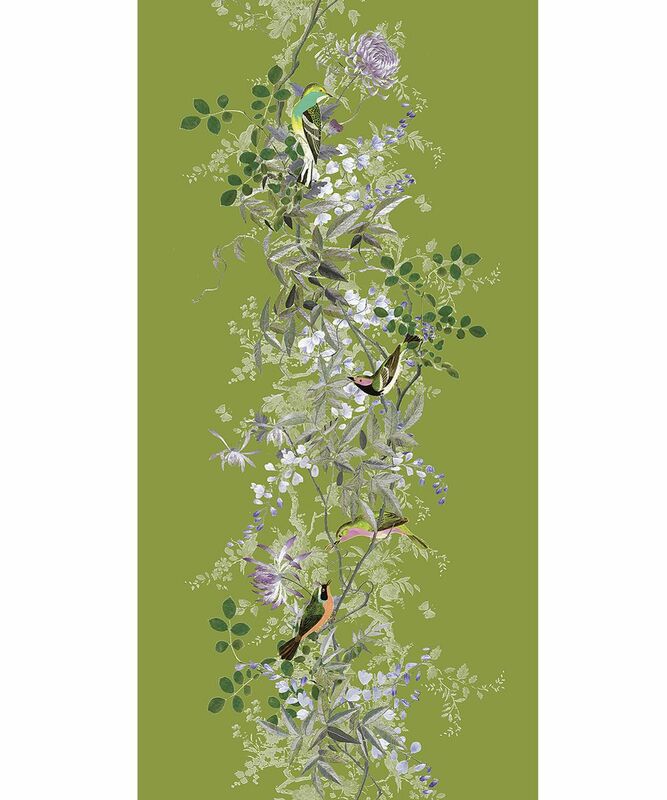 Heavy gauge, wide width 72cm paste-the-wall wallpaper. Complete design length 145cm, no pattern matching side to side, so the design can be offset as you choose. Available in 10m roll, 2m cut length, or wallpaper sample (first sample free, thereafter £3.95 pp) - please select in the drop-down menu. Example shown in painted frame as styling suggestion only. You save £22.00 that's 20% off!